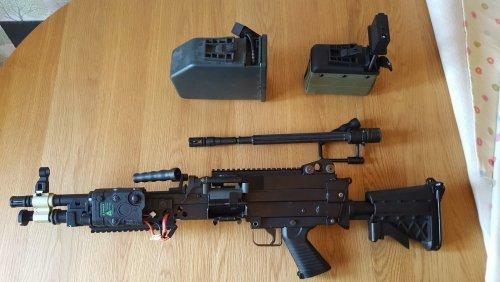 For sale is my m249, unfortunately it isn't working, as the bbs are just rolling out of the end. 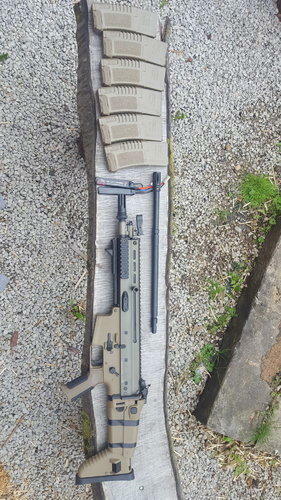 I'm sure that this will be an easy fix however, our team has moved to a CQB site so I'm thining out my current collection. Comes with loads of extras, including 2 mags. And in reality these mags are what I'm asking the money for. Collection only! Can arrange to meet up in the North West. 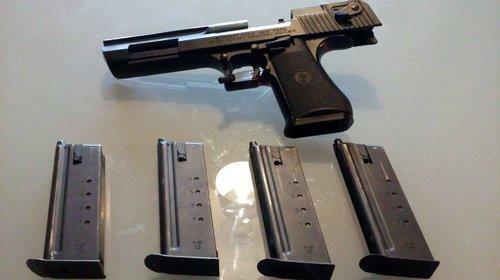 For sale is a my TM Desert Eagle. Its not understating to say this is an awesome bit of kit. This is the "Hard Kick" version, meaning it feels great and sounds incredible. Having actually been shot with this, I can confirm that dispite being "low fps" marui this particular model packs quite the punch, guaranteed to make people take their hits! I'm selling this with a heavy heart but I don't get chance to use it anymore and I'm streamlining my guns for new projects. Its all stock internals, having been skirmished 3 times its in good condition just with a few nicks and scuff marks. The gun comes with 4 leak free magazines. 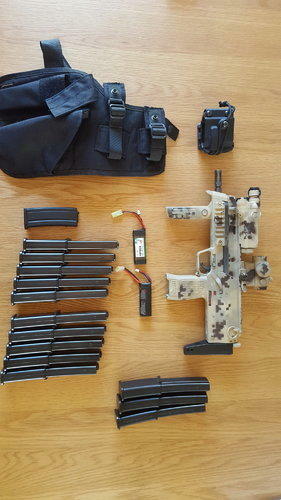 I have for sale an older MP7, which I bought second hand. I've done the paint job myself, so it's not perfect. It comes with loads of extras. Battery box, and two batteries, with 14 magazines (one short), two holsters and a replica T red dot sight. 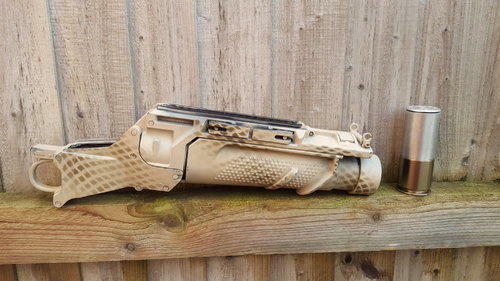 The internals are all stock, they could do with a bit of TLC, I've found the FPS to be a little low but being a marui it shoots straight, in a cqb environment it will be absolutely great. However I've moved to a woodland sight and it's just not got the range. There is one point of damage the mock charging handle spring has broken off. It can't be seen. 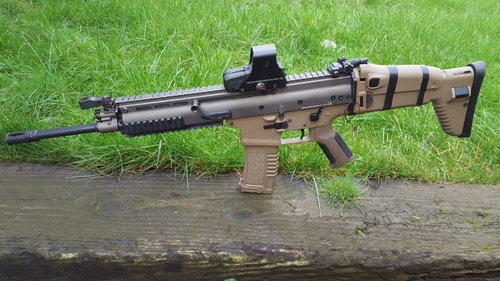 The charging handle has to be pushed forward after adjusting the hop-up. Price includes postage. Video of it firing on request. Haha, I know. But the word "operator" still sounds cool. And if you want to run deep on nominature the guys who are UKSF operators call themselves "Blades"
In my experience UKSF have moved to these style rails and PTS stocks. Can have whatever optic the individual operator feels happy with, but generally they have a close range optic with a flip to side or twist off magnifier. Also I think they'd put attachments on that are relative to the mission. The key is a good paint job, make it look more like SF style. I have a JPC, spent about £50 on it and it seems decent. Also SF use whatever plate carrier works for the individual operator, there's a serious mix of kit. So don't be afraid to make it your own. Happy building! 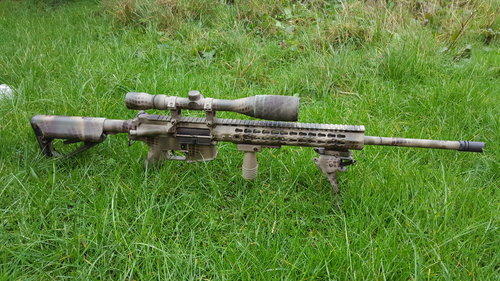 Up for sale is my custom M24 sniper. Skirmished twice Internally - I have upgraded; the inner barrel, hop unit and hop rubber, spring, piston and cylinder. 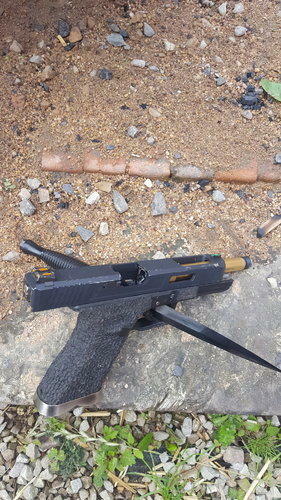 Hop-up is adjustable in the magazine well with small Allan key. When I installed the new spring I used a m150 and cut it down, firing at ~490 fps. Due to spring compression it's now firing at ~470fps. 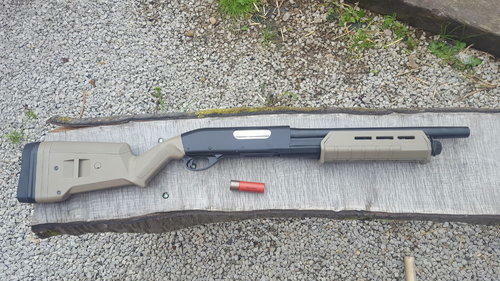 Externally - I have covered the outside with sniper tape, attached a foam cheek rest, used a suppressor thread barrel end to conceal the longer inner barrel and custom paint job. 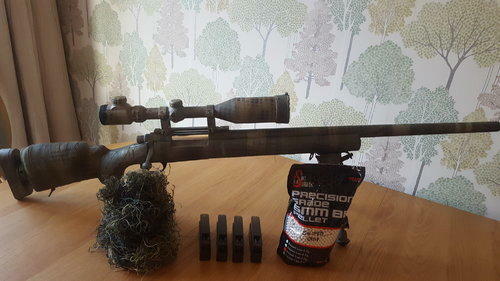 Also included is the 4-9x rifle scope, bipod, 4x 30 round magazines, almost full bag of 0.28g airsoft surgeon BBs and a rifle gilly wrap. All the original parts are available on request. Gun shoots really well. I've really enjoyed building it. However I'm not a fan of sniping.